Can anyone outrun their past forever? 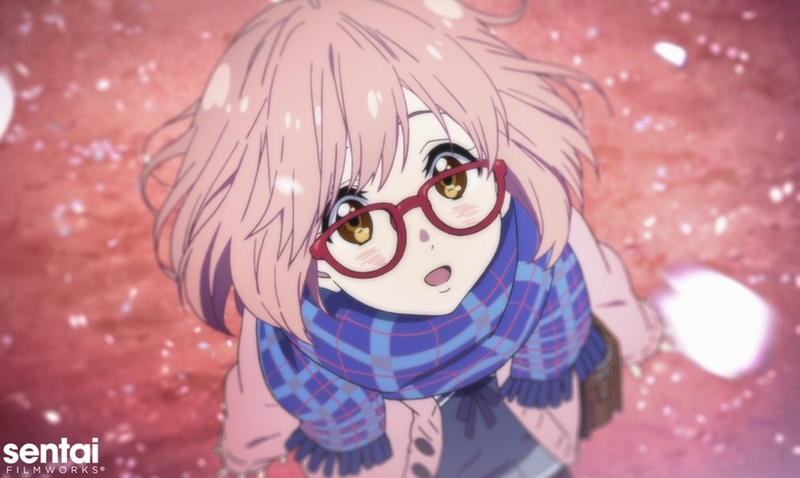 Mirai Kuriyama’s ability to control and manipulate her blood, even to use it as a weapon, has left her an outcast and pariah. But a chance encounter with Akihito Kanbara, whose own lineage is only partially human and allows him to heal from almost any injury, may have finally given her a chance at finding peace. When the cost of that path becomes apparent, will the two of them be willing to pay the price for a true happy ending? Even if it’s achieved, how long can it last in a world where Mirai’s mere existence is seen as a lethal threat? 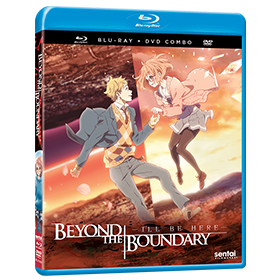 In two spectacular feature films, the world created in the hit series is taken to its epic, stunning conclusion: BEYOND THE BOUNDARY –I’LL BE HERE-: Past and BEYOND THE BOUNDARY –I’LL BE HERE-: Future! Riding a bicycle may be better than walking, but when another girl zips past her on the way to class, Sakura Hane realizes that there’s an even better option: motorcycles! Fortunately, Sakura’s all-girl school just happens to have a motorcycle club! It only has one member though: the mysterious Raimu Kawasaki, who’s never been seen without her face-obscuring helmet. But that changes immediately once Sakura and the girl who passed her, Onsa Amano, sign up and start recruiting! It won’t all be easy riding… Sakura still has to earn her license, and there are problems like the club’s official status having slipped, and the need to recruit a faculty sponsor. 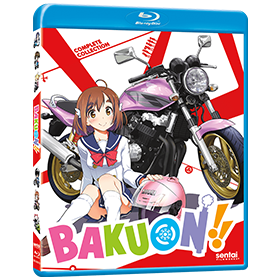 But when the rubber hits the road, those are just little potholes as six student bikers take a ride on the wild side in BAKUON! !